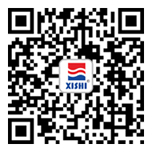 ﻿ Customer Complaint|Xishi Group Development Co., Ltd.
We apologize for the trouble caused by our service or product.! Please fill in the form below, so that we can make the processing according to your complaint.! Thank you for your support and cooperation.